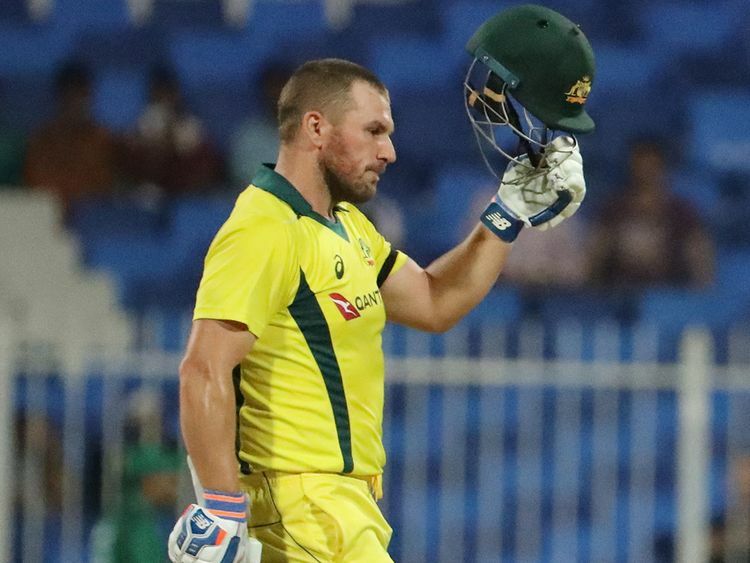 Sharjah: Australia skipper Aaron Finch inspired his team to a victory in the first One Day International of the five-match series at the Sharjah Cricket Stadium, transforming a daunting task of shooting Pakistan’s total of 280 for five into an easy one through his brilliant knock of 116 runs. Australia and Pakistan face off in their second One-day match at the same venue on Sunday with the question whether Australia will be able to double their lead or Pakistan can come back to level the series. Finch feels that the win will have a positive effect. “To chase down that total, was pretty daunting but it played really well in the second half. Nice to hit a few (runs) in the middle. I think doing it two-down was a real positive for us. There has been a few times recently where it might have got to 6 or 7 down,” he added. Did Finch feel a bit jittery when he reached the 90s and slowed down as he was keen to get a century that had eluded him? “What was running through my mind was that I had faced a lot of dot balls in the 90s and it wasn’t because I was trying to just get to a 100,” Finch said.